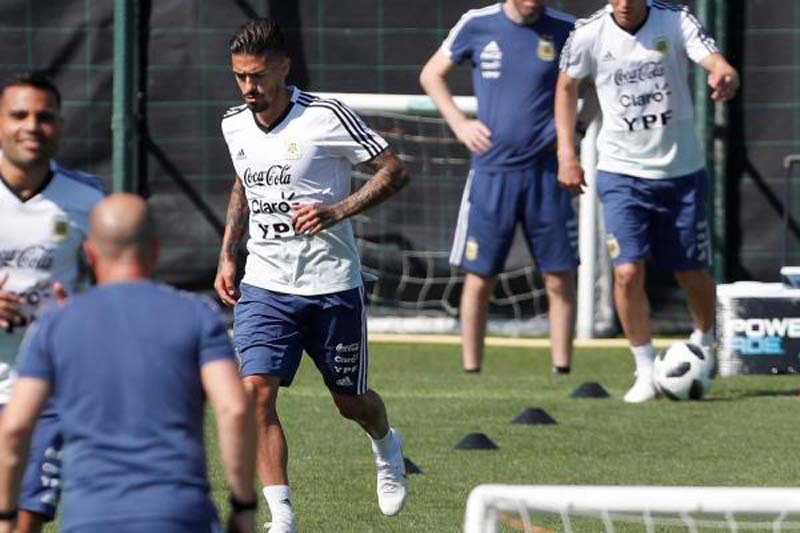 Argentina will play in the World Cup without Manuel Lanzini, after the midfielder ruptured a ligament in his knee during training. "The midfielder of the national team suffered, in today's morning training, the rupture of the anterior cruciate ligament of his right knee," the AFA said in a release. Argentina's first game of the 2018 World Cup is against Iceland at 9 a.m. June 16 at Spartak Stadium in Moscow. "West Ham United can confirm that Manuel Lanzini has suffered a suspected serious knee injury while on international duty with Argentina and has been ruled out of the 2018 FIFA World Cup Finals," West Ham said in a release. "The Club are in contact with the medical staff at the Argentine Football Association to ascertain the full extent of the injury and will provide a further update in due course." "Everyone at West Ham United would like to send Manuel our best wishes and hopes for a speedy recovery." Two of Lanzini's West Ham teammates -- Mark Noble and Adrian San Miguel -- offered well wishes after hearing about the injury. "All my best wishes for a speedy recovery, Keep being strong and get well soon bro," Adrian tweeted. "Love you little man, I know how much playing for Argentina at this World Cup meant to you," Noble tweeted. "Be strong."